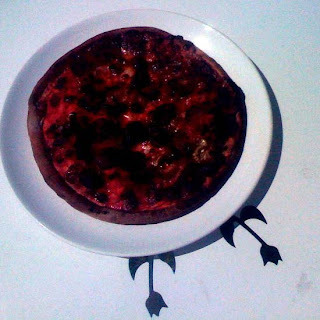 Do not try and do 10 things at once - or your pizza may end up looking like this......Not good. LOL .... the big question is, did it taste good? And don't even try pretending you didn't taste it! Ate it all - it was worse than bad!